Encore’s Disco Dance Parties are fully hosted complete with current playlists, fun-filled disco games, dancing and spot prizes for everyone! 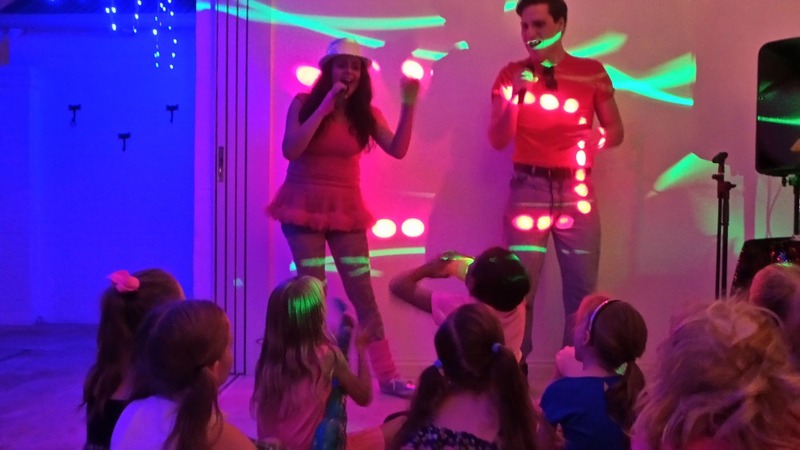 "We turn your garage or lounge room into a DISCO dance party!" Our WAAPA trained Disco Host arrives and rocks up a storm! Dressed to impress they will bring everything to your door or chosen venue and keep the kids buzzing with energy for the whole 1.5 hours! 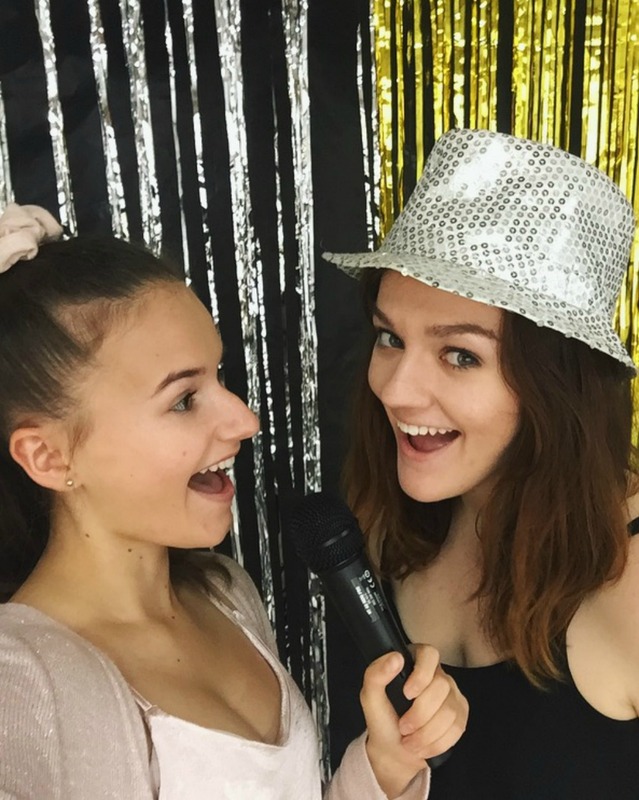 Whether you’re a tiny toddler or a cool teen, you’ll have the time of your life dancing to the latest music at a Perth Kids Disco Party. 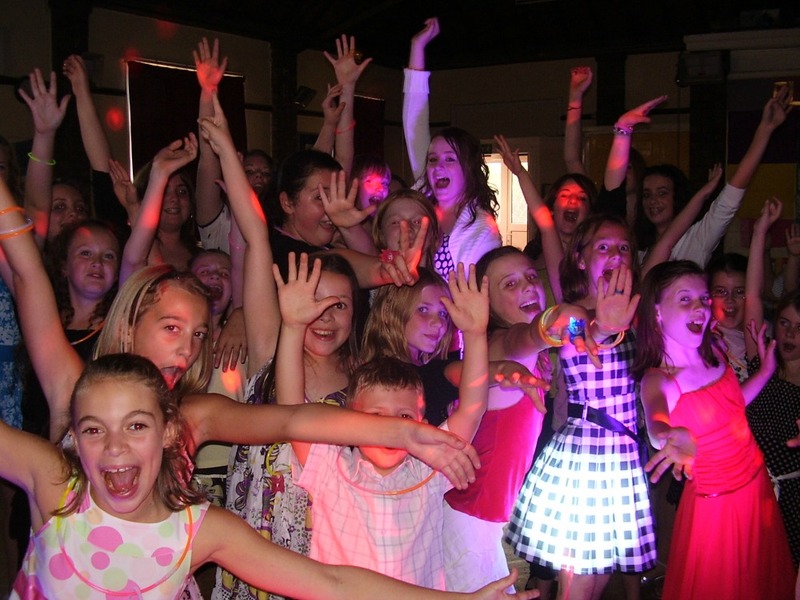 From birthday parties, christenings, school discos, christmas parties and more - we can make your event spectacular. Your friends will walk away saying "that was the best party ever!" $320 (inc GST) for up to 30 children. For parties with 31 to 39 children, a second host is required for an additional $100. 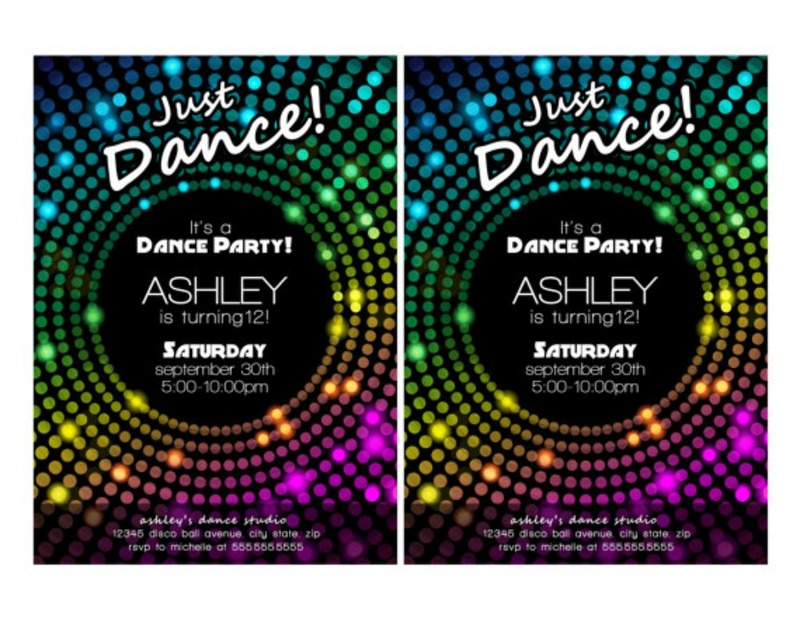 For parties with more than 40+ children, a tailored quotation will be provided. A Travel Fee and/or late night fee may also apply for distance travelled exceeding 15 kms from Perth CBD.
" Kids and adults all had a ball. Couldn’t have had a better experience and there’s no way we could’ve entertained that many kids for that long. The games were great, the dancing even better. They even helped wrangle all the kids for a group photo and stayed and sang happy birthday and cut the cake with Isla. Honestly, they were worth every cent!! " " Thank you for all the advice, suggestions and finally, sending Caitlyn to host Victoria's dance party. She was amazing and all the kids declared it was the best party ever! I loved how she managed the whole event without me lifting a finger and the kids were enthralled for the whole 90 minutes. " 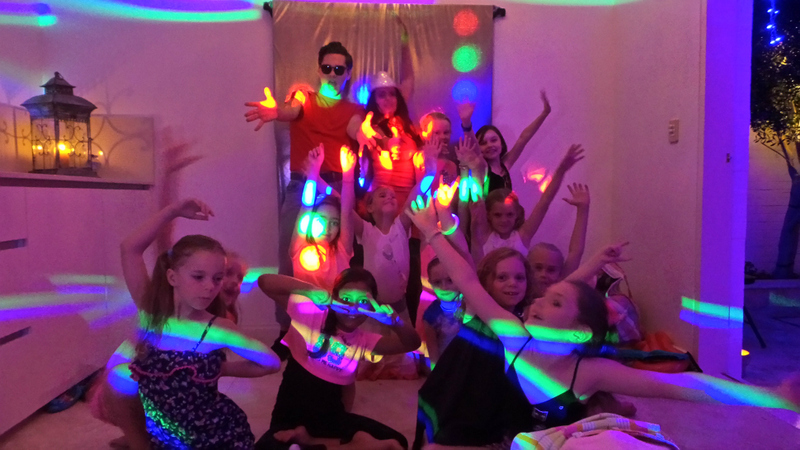 " Thanks Encore Kids Parties! 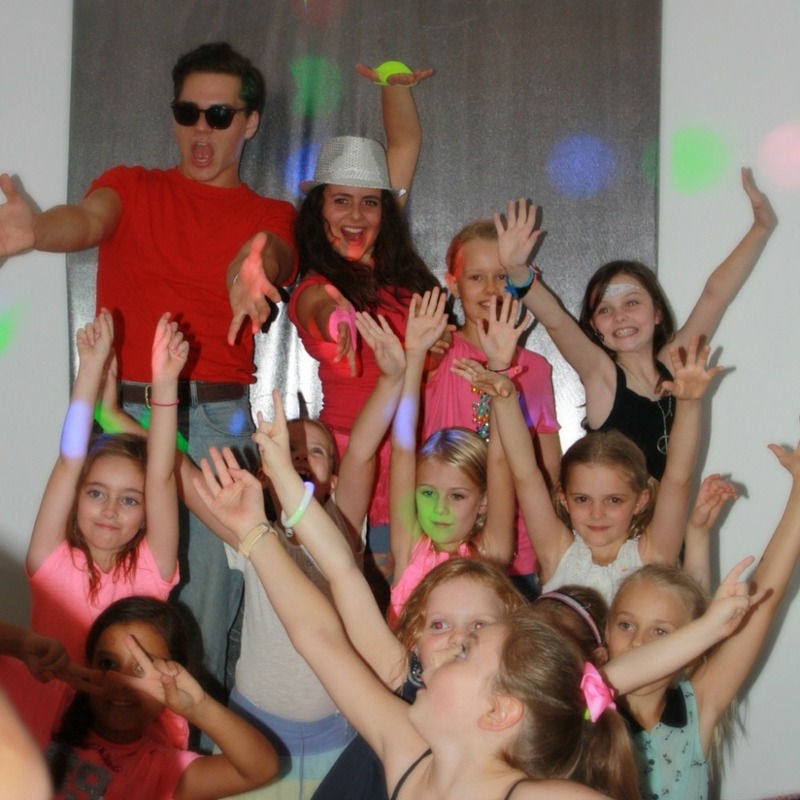 My son had a blast at his Disco Party! Todd was fantastic at engaging the kids in games, and providing fun age appropriate tunes for the kids to dance to. We all had fun on the dance floor! "